THE Economic and Financial Crimes Commission (EFCC) has recovered property and cash worth N2.273 billion from Governor Ayodele Fayose, ex-Deputy Governor Iyiola Omisore and a former Minister of State for Defence, Senator Musiliu Obanikoro, out of the N4.685 billion allocated to them by the Office of National Security Adviser (ONSA). The said cash, which was sourced from the $2.1 billion voted for arms procurement, was meant for the 2014 governorship campaign by Fayose and Omisore on the ticket of the Peoples Democratic Party (PDP). The trial of Omisore by EFCC is expected to begin any moment from now because charges have been preferred and filed against him. The EFCC is awaiting a date from the court for the arraignment of Omisore, who might be re-arrested. But the prosecution of Fayose is withheld till after the completion of his tenure and immediately he hands over to the next governor of the state. But Obanikoro, who was allegedly the courier of the fund to Fayose and Omisore, was still being investigated by detectives following more cases he was allegedly linked with. A fact-sheet obtained from the EFCC revealed that out of the N4.685 billion, detectives traced N2.0030 billion to Omisore; N685 million to Obanikoro and N1.3 billion and $5.377 million (at the exchange rate of N168 to $1) to Fayose. The document said: ?The N4.685 billion was disbursed by ONSA through a company, Sylvan McNamara Limited, which was submitted by Obanikoro for onward transfer to Fayose and Omisore for their gubernatorial election in 2014 on the platform of the PDP. Out of the sum, Omisore got N1.7 billion and additional N330 million was given to him through his company, Fimex Guilt Limited, bringing his campaign slush cash to N2.0030 billion. From his share, Omisore has paid back N350 million. Although he pleaded for more time, EFCC is expecting the balance from him.? The fact-sheet stated that charges have been preferred against Omisore. The document gave the details of how arms cash was allocated to Fayose and the retention of N685 million by Obanikoro. It said: On his part, Fayose was allocated N1.3 billion and $5.377 million (at the exchange rate of N168. The $5,377,000 was handed over in cash by Obanikoro to Fayose while the N1.3 billion was received by Fayose?s associate, Mr. Abiodun Agbele, in the presence of the ex-Minister?s Aide-de-Camp, who also accompanied them to the bank along with bank officials. ?From the $5 million, Fayose gave his Personal Assistant, Agbele about $1million, which he exchanged to Naira and paid for properties on behalf of the governor. Detectives suspected that Fayose added more of the N1.3 billion cash to what he gave Agbele to buy the affected assets. The properties worth N1.8 billion purchased with the said proceeds of crime have been recovered from Fayose and his sister, Moji Ladeji. These assets include four in Lagos (N1.1 billion) and two in Abuja worth about N500 million to N700 million. But Fayose has been claiming that he used his company, Spotless to obtain a loan of N120 million from Zenith Bank as part of what he used to buy one of the properties in Abuja. We are already tracking how he disbursed the N1.3 billion. A prima facie case has been established against Fayose but he is enjoying immunity from prosecution as enshrined in the 1999 Constitution. He will, however, face trial as soon as he hands over power to his successor. But the associate of the governor, Abiodun Agbele, has been charged to court accordingly.? Regarding the investigation of Obanikoro, the fact-sheet indicated that ?the ex-minister retained N685 million out of the N4.685 billion given to him by ONSA. A sum of N123 million has been recovered from Obanikoro, who claimed he was only asked to deliver the cash to both Fayose and Omisore for their gubernatorial campaign. The ex-minister is still under investigation following some cases allegedly still linked with him. THE Court of Appeal yesterday ordered two accounts of Ekiti State Governor Ayo Fayose domiciled with the Zenith Bank to be frozen. 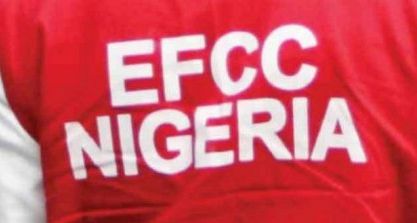 The court gave the order having been convinced by the argument of the Economic and Financial Crimes Commission (EFCC) that they were used to keep proceeds of crime. The three-man panel, led Justice Joseph Shagbaor Ikyegh, allowed the EFCC appeal and upturned the judgment of the Federal High Court, Ado-Ekiti, which was delivered about one year and four months ago. Other members of the panel are Justice Boloukurumo Moses Ugo and Justice Mohammed Mustapha. The judgment of the lower court, which unblocked the governor?s two accounts, was delivered by Justice Taiwo Taiwo on December 13, 2016. Fayose withdrew N5 million from one of the accounts immediately and transferred the sum of N75 to his lawyer, Chief Mike Ozekhome (SAN). Dissatisfied with the Ado-Ekiti Federal High Court?s verdict, the EFCC filed an appeal at the appellate court on three grounds. The anti-graft agency contended that the immunity enjoyed by the governor did not preclude his account from being frozen. The Appeal Court allowed the appeal and held that Fayose?s accounts, which were unblocked by the Federal High Court, be frozen. The court delivered the judgment upon reading the record of the appeal and after hearing EFCC?s counsel, Mr. Rotimi Oyedepo, Fayose?s counsel, Mike Ozekhome and Zenith Bank?s counsel, Mr. Oluwasegun Ayinde. Justice Ikyegh ordered ?that the appeal is meritorious and, having resolved all three issues agitated in the appeal in appellant?s (EFCC?s) favour. That the appeal is hereby allowed; that the judgment delivered by Justice Taiwo Taiwo of the Federal High Court, Ekiti Judicial Division, on the 13th day of December, 2016, granting the claims of the 1st respondent in Suit No: FHC/AD/CS/27/2016 is hereby set aside.? The two accounts had earlier been frozen by Justice Mohammed Shuaibu of Federal High Court, Lagos in an ex-parte motion brought by the EFCC.